Online ordering menu for Eat Better Deli and Grill. 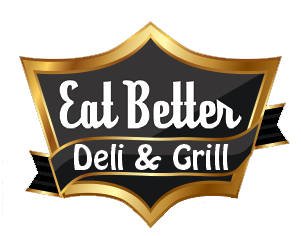 Come to Eat Better Deli and Grill here in Bronx where we serve the best deli around! Grab a bite of our delicious Chicken Parm hot sandwich or order one of our freshly made burgers. Order online for carryout or delivery today! We are located on 137th St and Brook Ave, just a few minutes from Saint Mary's Park and right across the street from Mill Brook Community Center.